Prices have rebounded, but they still represent real opportunity. In Tucson, the average sales price of Arizona real estate increased about 12-percent from late 2011 to late 2012. Buyer interest in luxury Arizona homes around Tucson has rebounded as well. In the two years from 2010 to 2012, the number of million-dollar plus luxury Arizona homes sold in the area has increased over 40-percent. Interest rates for luxury Arizona real estate have shown a slight uptick, but they still remain at near-historic lows. Financing Arizona luxury residences at current rates offers a rare opportunity indeed to invest in Arizona real estate. Confidence in the stability of the future Arizona real estate market is increased now that area home prices have shown strength for a couple of years now. For example, the greater Tucson area has demonstrated double-digit average sales prices from 2011 to 2012. At the same time, luxury Arizona homes and estates have lagged behind this pace to a degree, thus preserving opportunity for current home buyers. With the prospect of continued increases in prices for luxury Arizona real estate coupled with rising interest rates, the time to act is now. Of course, a choice of luxury lifestyles is about far more than the costs. The area around Dove Mountain, north of Tucson, offers an average of 350 days of sunshine a year. Golf dates can be planned with confidence well into the future. At Dove Mountain, those tee times are reserved for a round on a true championship layout. The Jack Nicklaus 27-hole signature golf course has even hosted major tournaments, like the 2012 Accenture Match Play Championship. While you are looking at luxury homes in Arizona for a retirement home or a second home, we invite you to take a close look at the Arizona luxury residences at “The Residences at The Ritz-Carlton, Dove Mountain.” The luxury Arizona real estate here is widely scattered over 850 acres in the Tortolita Mountain foothills. Dove Mountain is just 25 minutes north of America’s 32nd largest city, Tucson. Therefore, all the cultural and entertainment opportunities that a metropolitan area can offer are just a quick drive to the south of these luxury Arizona homes. 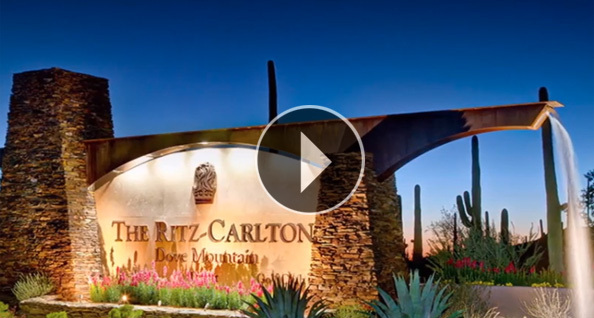 Owners of Arizona luxury residences here at Dove Mountain revel in superior recreational opportunities beyond golf as well. The 45,000 sq ft clubhouse offers multiple ways in which to relax or entertain. The Olympic-sized swimming pool is always a popular destination. For those that own luxury Arizona real estate at The Residences and embrace a fit lifestyle, the trails in the area are superb. In fact, the over 25 miles of trails that course through the Dove Mountain area give hikers, walkers, and bikers varied opportunities for great workouts. The luxury homes in Arizona here range from 2,400 sq ft to 5,400 sq ft. Building one of your own luxury homes in Arizona at The Residences is still possible as well. Customize a floor plan that suitably addresses your unique needs. Overall, the location and the amenities at Dove Mountain offer residents a wonderful balance to be enjoyed for years to come.